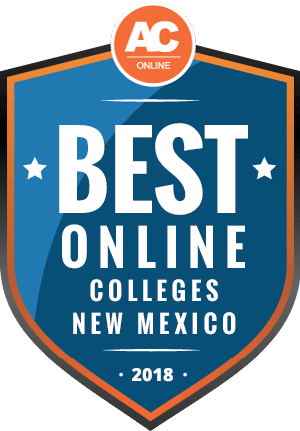 Why Choose New Mexico for Online Higher Education? Competition in the job market continues to raise educational attainment standards across the U.S., and in New Mexico, 63% of employers require incumbents to have some postsecondary school experience, while 18% specifically demand a bachelor’s degree. However, 11% of employers only consider candidates with an advanced degree. What’s more, the Bureau of Labor Statistics projects that the fastest growing occupations typically require postsecondary education. As the availability of digital classrooms steadily increases, students nationwide now have access to accredited postsecondary programs through online universities in New Mexico that can lead to serious earning power. Learners can use this page to review important information and resources about the most affordable online universities in New Mexico. Many students, due to family obligations or full-time jobs, need flexible access to coursework. They can enroll in one of 24 programs that offer coursework completely online. Nearly 9,000 learners earn their degrees through accredited online schools in the state. Additionally, the most affordable online universities in New Mexico allow underserved populations or professionals in shrinking labor industries to boost their careers by earning degrees. Digital learning provides both national and international students access to the best online schools in New Mexico, but universities typically charge non-resident students higher tuition rates. The data below indicates that out-of-state students pay over $9,580 more than residents at four-year public schools, and $3,356 more at two-year public schools. Furthermore, online programs at brick-and-mortar schools typically apply out-of-state tuition fees, while 100% online schools may charge a flat rate for all students. Online out-of-state learners may qualify for discounted tuition rates if their state of residence maintains a reciprocity agreement with New Mexico. Students might also consider establishing residency to qualify for in-state tuition. New Mexico tuition rates for public and private four-year institutions cost much less than the national average. Similarly, public two-year institutions also remain less than national averages. Despite the learning format, students should understand what factors into tuition rates, as on-campus costs often include housing, meal plans, and lab fees. On the other hand, online students often pay for software or tech fees to facilitate their coursework. The list below includes base tuition rates in Nevada. Accredited online universities in New Mexico provide access to both bachelor’s and master’s degrees for out-of-state students, as over 2,300 distance learners complete all of their coursework digitally through New Mexico schools. Most universities in the state charge non-resident students higher tuition rates. However, New Mexico maintains reciprocity agreements with certain states, so applicants should examine specific details about the relationship between their home state and New Mexico. New Mexico belongs to the Western Interstate Commission for Higher Education (WICHE), an organization that orchestrates reciprocity agreements between multiple states. Through the WICHE, public and nonprofit schools charge out-of-state students no more than 150% of what residents pay, while private schools reduce their fees by 10%. Therefore, the amount of savings varies by school. However, between 2017-2018, New Mexico reported that graduate students saved $1,500,000, while undergraduate students saved $6,100,000. WICHE members include Alaska, Arizona, California, Colorado, Hawaii, Idaho, Montana, Nevada, New Mexico, North Dakota, Oregon, South Dakota, Utah, Washington, Wyoming, and the Pacific Islands. The State Authorization Reciprocity Agreement (SARA) strives to make education more accessible to students. Furthermore, schools affiliated with SARA maintain more uniform standards and allow students to avoid unnecessary tuition costs. While a state may hold active membership, schools can choose not to participate. Over 20 schools in New Mexico hold SARA approval. Students should also note that SARA covers individual classes as well as entire programs, so they may need to verify that their programs have full coverage. To ensure a meaningful return on investment, students must consider multiple factors when selecting an online program. Our selection considers the breadth of distance programs, student-to-teacher ratios, student resources, and job availability for graduates. However, this ranking places particular emphasis on affordability, including the average financial aid amounts, the percentage of students who receive scholarships from their school, and average tuition for full-time students. Students considering programs in New Mexico should view the detailed information below. Distance learners often question a state’s overall educational culture when selecting an ideal program. The section below answers frequently asked questions regarding online higher education in New Mexico. Do Online Credits Cost More or Less in New Mexico? In-state tuition in New Mexico has become extremely affordable. Just a few years ago, students paid over $14,000 for in-state tuition at public four-year institutions, according to the National Center for Education Statistics (NCES). Currently, New Mexico state data indicates that resident undergraduate students can earn their degree for as little as $970 per year. However, some schools charge just over $7,100. Graduate students can pay upwards of $25,000 or as little as $4,250, while private schools may charge higher tuition. Therefore, when determining the cost-effectiveness of online education, students should consider the type of institution that meets their needs. For instance, distance learners at Eastern New Mexico University pay $3,430 for tuition, while students enrolled at Western New Mexico University pay $3,740. Contrastingly, students attending the University of the Southwest pay about $15,460. Which New Mexico Schools Accept the Most Transfer Credits? In general, two-year institutions often accept a maximum of 60 credits, while some four-year institutions accept as many as 90 credits from approved programs. While transfer policies vary by school, students transferring from other WICHE-affiliated states may apply for an Interstate Passport, which automatically approves all lower-level division coursework. Similarly, New Mexico students may experience a smoother transition when transferring from institutions within the state. Many of the community colleges partner with four-year institutions to ensure coursework can transfer easily. The New Mexico Higher Education Department (NMHED) also strives to alleviate confusion regarding the transfer process for college students by providing access to the New Mexico Common Course Numbering System. This system includes transfer data for all lower-level courses offered in the state at public institutions. Courses have a common title, number, prefix, learning outcome, and description. While many schools accept transfer credits, applicants may want to consider the University of New Mexico, where nearly 1,400 students transfer to each year. The primary stipulation indicates that students must earn at least 30 credits in New Mexico. Learners may also consider New Mexico State University. The university typically accepts credits that hold regional accreditation. Transfer students even qualify for special scholarships. Will Any Online Colleges in New Mexico Accept a GED? Higher education institutions understand that some applicants do not hold high school diplomas but wish to earn their degree. The General Educational Development (GED) exam provides this opportunity, and GED data indicates that 98% of colleges and universities accept this exam as a valid credential. Furthermore, data from the American Council on Education reveals that over 18 million people have earned a GED since the exam emerged, while 800,000 took the exam last year alone. The GED exam, which also partners with Canadian provinces, assesses language arts, reading, writing, mathematics, science, and social studies. These exams must have a proctor and applicants cannot complete the exam online. GED testing service data indicates that only 60% of graduating high school seniors could pass the test on their first attempt. General passing scores remain at 145 per section, while college-ready scores range between 165-174. New Mexico students need 580 points total at minimum. How Many Academic Terms Per Year Do Online Colleges in New Mexico Offer? Traditionally, schools follow fall, spring, and summer enrollment dates, and the admission process requires significant effort, as many schools aim to encourage selectivity. As more types of learners show interest in online programs, more colleges and universities now offer flexible enrollment dates to appeal to as many students as possible. Multiple start dates provide learners with opportunities to take courses at their leisure. While most schools do not offer weekly start dates, students may find New Mexico programs that provide enrollment with monthly or bimonthly start dates. Some universities have retained traditional semester structures, but break courses into eight-week segments, while some courses may require even less time to complete. For instance, the University of New Mexico Online offers multiple programs that follow the eight-week format, including business administration, psychology, space systems engineering, and strategic communication. Similarly, distance learners at New Mexico State University receive access to eight-week courses, allowing them to begin classes at their convenience. Which Online Colleges in New Mexico Will Accept the FAFSA? Data from the National Center for Statistics indicates that 85% of first-time college students during the 2015-2016 school year received financial aid. Federal Student Aid exists to offset the costs of education for all students who can prove a financial need. As the Free Application for Federal Student Aid (FAFSA) only works with vetted universities, students should only consider regionally or nationally accredited programs. Additionally, enrollment status impacts eligibility. Students must maintain part-time enrollment to qualify for assistance and only receive half of what they would qualify for as a full-time student. Financial aid provides different types of funding, including unsubsidized and subsidized Stafford loans, Perkins loans, grants, and work-study programs. Work-study requires placement with other staff members at the university, making them rare among online programs. However, some schools might offer research placements that would allow learners and mentors to collaborate remotely. Are There Any Free Online Classes I Can Take From New Mexico Colleges? Choosing to earn a degree requires a significant financial commitment. While students often consider financial aid, many students remain unaware that schools often provide free classes, too. Some of these courses do not assign specific grades, instead only providing a pass or fail outcome. However, many classes allow learners to earn credits toward their degree. Online learners should also note that some courses require live attendance, while others allow students to work at their own pace remotely. The University of New Mexico offers many free online courses, and multiple classes relate to the geographic influence of the school’s location. For instance, students might explore curanderismo: traditional medicine, which discusses traditional medicine practiced by Mexico, Latin America, and the southwestern region of the United States. Students might also consider desarrollo de aplicaciones, a basic web concept course taught in Spanish. Other classes include globalization of business enterprise, entrepreneurial strategic management, international business, blockchain development, rural health nursing, web application architectures, and secure web application development. Learners may also explore learning design and technology courses through New Mexico State University. While some courses may demand up to 12 hours of work per week, others allow students to move at their own pace within a limited timeframe. How Can I Find the Online Program Options at New Mexico Colleges? Students soon realize that finding all available course options requires research. To assist applicants in navigating the online learning experience, the NMHED provides multiple online resources. Students can view a list of all public schools in the state, where each school provides detailed information regarding their program options. Students should compare and contrast offerings to determine the best school. Students can also explore Gaining Early Awareness and Readiness for Undergraduate Programs (GEAR UP). This organization works directly with higher education institutions in the state, including tribal schools, to help students identify which programs best meet their career goals. Additionally, the New Mexico Higher Education Dashboard collects current data to create institutional profiles for all colleges and universities in the state. This portion of the government site also suggests viewing College Navigator on the NCES website. Students often express concern about how to fund their education. Fortunately, many learners qualify for financial aid. Pell Grants cover a large portion of tuition and require no repayment. However, students earning an advanced degree or cannot prove financial need should consider scholarships. The list below contains possible options. New Mexico residents who have graduated from a local high school may apply. Learners must enroll in a four-year public school within 16 months of graduating and complete a minimum 15 credit hours each semester. Additionally, students must retain a 2.5 GPA or higher. Residents of New Mexico who graduated from a public or private high school within the state may apply. This scholarship covers full tuition and fees. Applicants must enroll in accredited universities or colleges in the state of New Mexico. Students may receive this scholarship in addition to others. This scholarship appeals to out-of-state students with notable academic achievements. Nonresident students who wish to earn their undergraduate degree at a public university in New Mexico may apply. Students must maintain full-time enrollment and meet GPA standards. Additionally, students need to provide sufficient ACT scores. Students interested in earning an advanced degree from one of the best online programs in New Mexico can apply. Applicants can receive this award for two years. New Mexico residents who can provide financial need receive preference, but any U.S. citizen may apply. Applicants must also agree to complete an unpaid internship at approved locations for 10 hours per week. The AAF-NM strives to help students pursuing degrees in advertising. New Mexico residents entering their junior or senior year of their undergraduate program may apply. Additionally, students attending nonprofit or public schools at the graduate level may also apply. Students must maintain a 3.0 GPA at minimum.